Duane Lee "Dog" Chapman is denying allegations of assault following a verbal altercation at the Denver International Airport last week. "There was no assault. A young man approached Dog at the Denver Airport in a very hostile and aggressive manner, clearly looking to start trouble," the Chapman’s family attorney, Andrew Brettler, told ET on Thursday. "He insulted Dog and Beth, hurled racial slurs at Dog, and threatened to 'cut' Beth if she could ‘get out of her wheelchair." 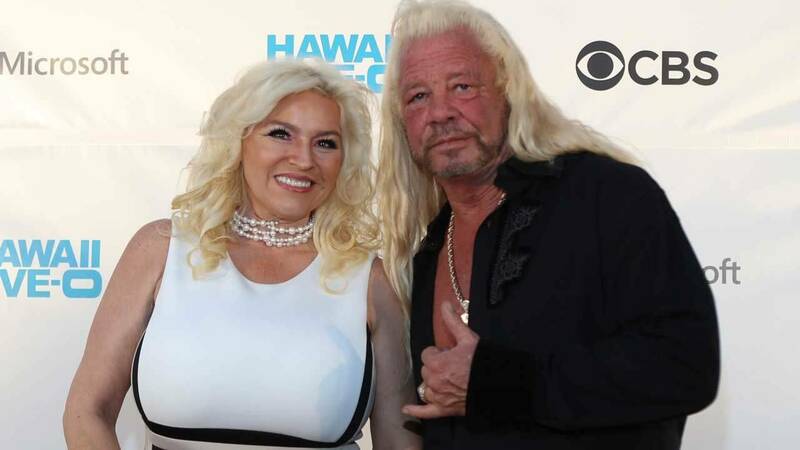 The Dog the Bounty Hunter star and his wife, Beth Chapman, were returning to their home in Colorado on Nov. 30, after Beth had undergone emergency surgery three days earlier, to remove a throat blockage obstructing her breathing which stemmed from her ongoing cancer battle. In a recently surfaced video, Duane and Beth, who was in a wheelchair, can be seen waiting for an airport elevator when they are approached by two men, who claim to be father and son. The older man can be heard screaming, "This is my son and you put your f**king hands -- you put your hands on my son." The confrontation continued as the men hurled expletives at the couple. A female voice, which is believed to be Beth's, can be heard telling an airport employee in the elevator, "Get security." A police report was later filed against the 65-year-old bounty hunter and reality TV star, but no arrests have been made in connection with the incident, People reports. "The Chapmans called for airport security," Brettler stated. "Eventually they were able to get in their vehicle without further incident. According to the Denver P.D., airport surveillance footage show this individual was the aggressor and that Dog did not assault him, as alleged. The Chapmans intend to press charges against this individual and his father for harassment and for disturbing the peace." ET has reached out to the Denver Police Department for comment. Beth was recently in Los Angeles to undergo surgery, and revealed that the mass in her throat indicated that her cancer had returned. However, the couple released a hopeful statement explaining that they are taking it day by day and know that this is "not the end" for the 51-year-old reality star.